As live streaming becomes more accessible, many users are looking for a way to spice up their broadcasts. It’s easy enough to start using free services and simple equipment, but how can you take things to the next level? This article will look at how to broadcast live video with multiple sources. Multi-source live streaming is a great way to boost the production value of your broadcasts. There are many other benefits as well, which we’ll cover here. In addition, we’ll also cover the equipment and software necessary to stream live video with multiple sources. First, let’s take a quick look at the reasons why you may want to use multiple sources for live streaming. For starters, multi-camera live streams are more professional. They create a higher production value. Switching between multiple camera angles and content sources is the bread-and-butter of professional-grade broadcasters. TV stations, cable channels, and well-produced internet broadcasts all use multiple sources for better communication and greater aesthetics. Using multiple sources for streaming also makes it easier to add effects. That’s because you can prepare and test effects on a given source when it’s offline. Meanwhile, another source can be used as the main broadcast source. This gives you more flexibility for editing and adding effects on-the-fly. However, as mentioned above, there are costs to this. With added complexity comes a greater need for equipment and staff. Still, these costs are well worth it! Perhaps one of the best examples of a multi-camera event in action is a sporting championship like the Super Bowl. Super Bowl broadcasts have used multiple cameras for a long time. However, the latest Super Bowls have added many other sources. These include cameras mounted on drones and wires suspended above the stadium. Multi-camera shoots are used in studio settings to provide different angles. Most studios have at least one camera set for wide shots, one for medium shots, and one for close-ups. This can be seen in the following clip from CBS News Los Angeles. It begins with a medium shot, then switches to a wide shot around 13 seconds in. A guest is shown with a close-up shot around 2 minutes 15 seconds in. Both of these examples come from high-end productions with large budgets. However, multi-camera shoots aren’t limited to those with multi-million dollar budgets. Today, the cost of complex multi-camera shoots has plummeted. It’s possible for those even with small budgets to create multi-camera video shoots. For example, check out the innovative approach in this video below. Here, a small church is using a pair of 4K PTZ (Pan Tilt Zoom) cameras for a master 1080p HD broadcast. This enables them to use digital cropping to get the equivalent of eight camera angles! For an example of a live streaming equipment setup for multi-camera streaming, check out this tutorial. Let’s discuss some of the equipment necessary for a multi-source shoot. 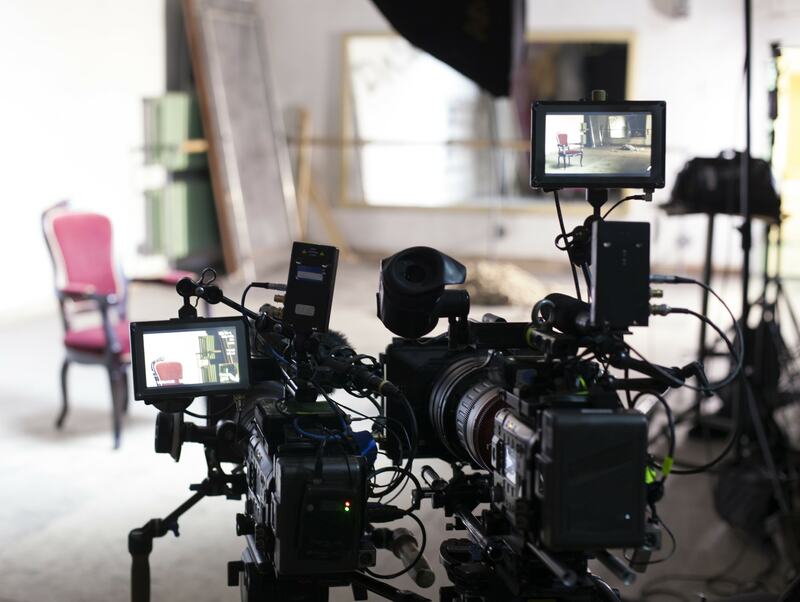 For a multi-camera shoot, you will obviously need multiple cameras. We recommend that when possible, you use the exact same camera. This provides the same color, resolution, dynamic range, and so on. Using cameras from different manufacturers can cause problems with footage looking different. If you must use different cameras, try to use the same brand. In some cases, using different cameras will be unavoidable. In this case, be sure to thoroughly test your cameras before using them to ensure they don’t clash horribly with one another. It is possible to get the look of a multi-source shoot without using multiple cameras. For example, you can use pre-recorded video clips within a live stream. Cutting to these pre-recorded clips mixes up the visual experience. This is a lower cost, simpler alternative to multi-camera shoots. The second key when it comes to how to broadcast live video from multiple sources is switching. Switching is essentially the process of selecting which source will be broadcast in a live feed at any given time. Switchers come in both hardware and software versions. Hardware switchers tend to be more robust and reliable, but are also more expensive. 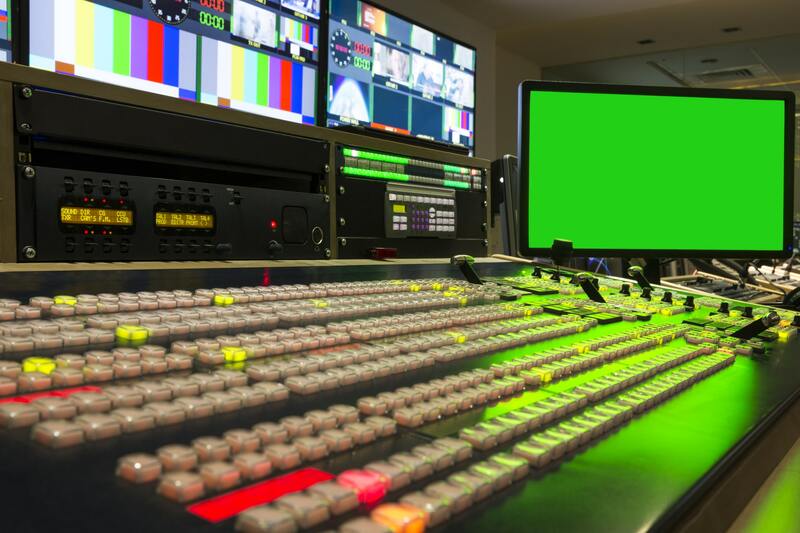 With a hardware switcher, video sources are connected directly to a panel or rack-mounted unit (usually via SDI or HDMI, sometimes via Ethernet). A display panel is either built in or connected externally. Buttons on the device allow the operator to switch between sources instantly. Software switchers are usually integrated into live streaming applications like OBS Studio, Wirecast, vMix, and others. These applications are installed on a computer, and can then be controlled via a standard mouse and keyboard interface. Software switchers are more affordable, but less robust. Don’t let that discourage you! They can work excellently. However, if you do use a software switcher, make sure you install it on a powerful computer. These days, it’s possible to wirelessly switch a multi-camera live video broadcast using mobile devices. Considering that a full broadcast studio was the only option for performing this feat a few years ago, it’s pretty remarkable how fast the technology is evolving. For a great mobile option, consider Teradek. We recently reviewed Teradek’s Live:Air family of iOS apps. These allow you to mix multi-camera live streams from an iPhone (up to two cameras) or iPad (up to four cameras). Other similar options include RecoLive MultiCam and Switcher Studio. If you’re running a software switcher, you’ll need a camera capture device. This connects to your camera (usually via SDI or HDMI) and imports the video signal. Capture devices usually come in two formats: cards that slot into desktop computers or boxes that plug in via USB, Thunderbolt, or other connectors. Two popular manufacturers of capture devices are Black Magic Design and Matrox. Any switching software or hardware platform will include a method for inserting this sort of content with minimal fuss. Usually, switching to a non-camera source is as simple as hitting a button or selecting content. Overlaying titles, graphics, or other material is straightforward as well. Chose camera angles and a location for the studio/switcher. Run and tape cables securely. No tripping! Set up and test encoders, computers, and switchers with the cameras. Conduct a full live-streaming test. We recommend testing at least twice, and on multiple end-user devices. Throughout the show, switch between multiple cameras to provide an interesting and focused main view. The switcher controls this aspect. Ideally, each camera records its own feed to local storage (ISO); the main program feed also records (locally, via OVP, or both). For additional details, you can check the following tutorial on how to use several video sources. Another type of multi-source live streaming is picture-in-picture. This is great for sports and many other scenarios. Similarly, streaming a multi-source collage is a viable approach. This one may have more limited uses, but can be fantastic for showing multiple simultaneous views of the same event. Every live streaming software encoder – and most hardware encoders – make these effects possible. When using OBS Studio or Wirecast, for example, you can individually scale, resize, position, and layer. This allows you to create a “picture-in-picture” effect, or merely display multiple camera feeds onscreen at the same time. For further explanation, check out this tutorial. Choosing to stream live video from multiple sources is a great way to make your broadcast more professional. With the right equipment and knowledge, it’s relatively easy as well. Do you have interest in multi-camera live streaming? What’s holding you back? Or, if you’ve already started, what lessons have you learned? 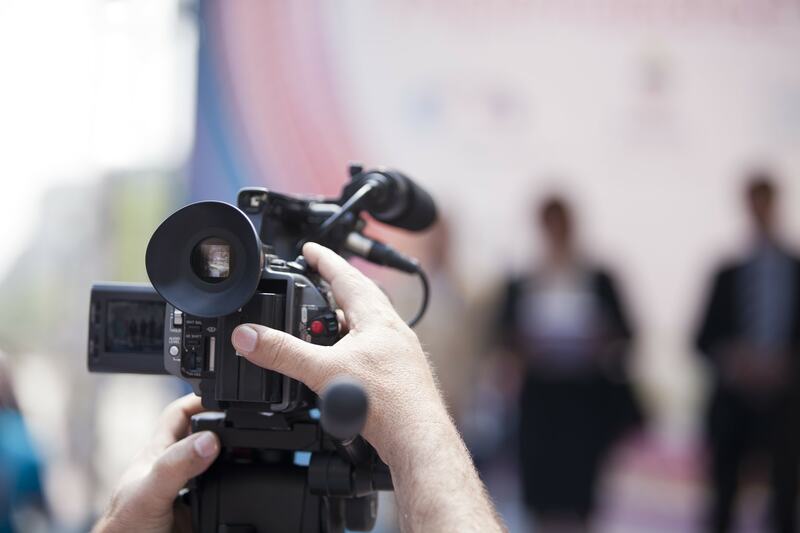 What works well with your online video platform, and what challenges have you encountered? Let us know in the comments and we’ll get back to you. You can also read more about the DaCast’s live streaming pricing plans, and how you can customize the right plan to your needs. To try the DaCast platform free-of-cost with our 30-day free trial (no credit card required), just click the button below! Looking for regular tips for live streaming, exclusive offers, and other community support? Feel free to join our LinkedIn group. What Is the Best Live Streaming Company for Corporate Events?